Some patients with mesothelioma should consider the less-invasive talc pleurodesis procedure instead of aggressive, tumor-removing surgery, based on recent research from doctors at Mount Sinai Hospital. 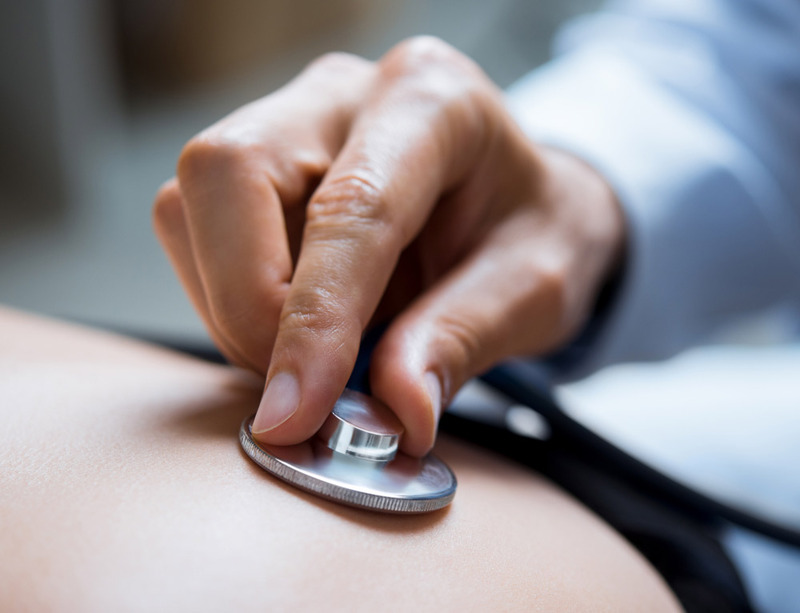 Although talc pleurodesis is considered only palliative, survival time often is not significantly different between the two procedures, according to the study published by Journal of Thoracic Disease. Taioli led a group of researchers including Maaike van Gerwen, of the Institute for Translational Epidemiology at Icahn, and thoracic surgeon Raja Flores at Mount Sinai Hospital. The research included a comprehensive review of 49 previous studies that focused on survival rates comparing talc pleurodesis to aggressive surgery after a pleural mesothelioma diagnosis. The average survival of patients treated with talc pleurodesis was 14 months, compared to just 17 months for those having the aggressive pleurectomy and decortication (P/D) surgery and 24 months for the even more aggressive extrapleural pneumonectomy (EPP). Talc pleurodesis is a surgical procedure used to treat and prevent pleural effusions, a typical symptom of mesothelioma. The palliative treatment improves quality of life by relieving pain and making it easier to breath. The goal of a pleurodesis is to drain the fluid around the lungs that makes it difficult to breath, then eliminate the pleural space where it accumulates to prevent it from returning. Patients say it alleviates several symptoms of pleural mesothelioma. It does not remove cancer cells. Talc pleurodesis typically requires a hospital stay of just one to two days. P/D or EPP surgery can require a hospital stay of one to three weeks. Major procedures also carry considerably more complications and a much longer recovery period. One reason for longer median survival involving aggressive surgeries is that typically patients who qualify for — and have the surgery — are healthier to start. Many patients who are not surgical candidates opt for the palliative talc pleurodesis. There is no cure for pleural mesothelioma, even with multidisciplinary treatment that includes surgery, chemotherapy and radiation. Taioli believes a randomized comparison study should be done before any definitive recommendations can be made. The research group found only two acceptable data sets reporting one- and two-year survival rates for those undergoing talc pleurodesis. Researchers found 37 data sets for those undergoing more aggressive surgery. The pooled one-year survival rates for P/D and EPP were 55 and 67 percent, respectively. The one-year survival rate for talc pleurodesis was 57 percent in one data set, but only 17 percent in the other. Two-year survival rates for P/D and EPP were 32 and 36 percent. The two-year rate for talc pleurodesis was 10 and 13 percent.